SINGAPORE, Jan. 21, 2019 /PRNewswire/ — BookDoc today signed a memorandum of understanding with Special Olympics Asia Pacific. The partnership aims to improve the health and fitness of people with intellectual disabilities across the Asia Pacific region by allowing them to keep track of their daily activity through BookDoc’s wellness reward application, BookDoc Activ. The progress of 750 athletes with intellectual disabilities across Southeast Asia will be monitored during the pilot phase of the project. The health data collected will be analysed and used to further engage and improve their health and sports performance. 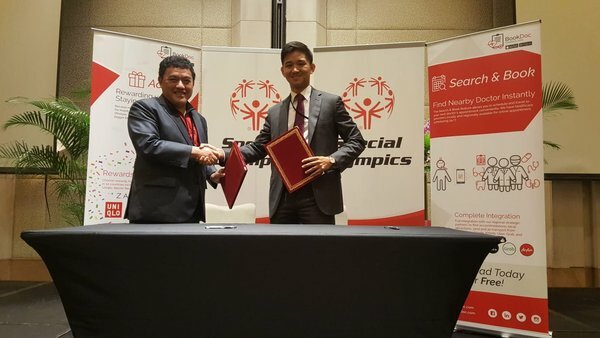 “This partnership aims to use technology to harness valuable health and fitness data which we can use to address certain gaps, whether in training or nutrition, and help athletes with intellectual disabilities perform at their most optimal,” said Mr Simon Koh, President and Managing Director of Special Olympics Asia Pacific. “People with intellectual disabilities are one of the most underserved populations in the world, and we aim to equip them with the right tools so that they can achieve their fullest potential, both on and off the sports field,” he added. BookDoc Activ rewards users according to their average daily steps, which are tiered at bronze, silver, gold and platinum. 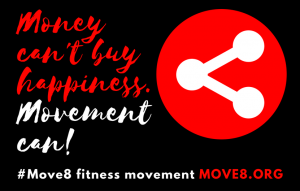 It is able to sync with other health applications such as Apple Health, Samsung Health, Google Fit, Fitbit and Garmin, which enables users to efficiently keep track of their daily exercise and get rewarded for it. By maintaining a high level of activity, users will be able to redeem monthly discounts or freebies from major retailers and service providers across 12 countries. The BookDoc app may be downloaded for free from the App Store or Google Play Store. BookDoc currently has more than 80 partner merchants including Zalora, Fave (formerly known as Groupon), ShopBack, MCL Cinema Chain in Hong Kong, V Hotel in Singapore, Uniqlo, Coffee Bean, Ajisen Ramen in Hong Kong, OldTown White Coffee, Petron, Digi, and Secret Recipe. BookDoc users get to redeem rewards on a monthly basis if they achieve an average-daily-step threshold. BookDoc, with presence in Malaysia, Singapore, Hong Kong, Thailand and Indonesia, is an online platform that operates across the healthcare continuum connecting patients to healthcare professionals anytime and anywhere, while incentivising all to stay active. BookDoc has established an integrated online ecosystem for local and overseas health travellers. The ecosystem allows users to search and book healthcare professionals anytime and anywhere, and integrates seamlessly with navigation (Google Map, Waze), transport (Grab, Uber, AirAsia), accommodation (Agoda and Airbnb) and recommended restaurants & attractions (TripAdvisor) for a hassle-free and enjoyable experience to healthcare appointments. In addition, through BookDoc Activ, its rewards users for maintaining high level of activity by partnering major retailers and service providers that offer users discounts for achieving reward tiers based on activity level. The company is backed by a diverse group of investors from entrepreneurs to seasoned healthcare and insurance professionals, banker, regulators as well as ICT professionals. It is available online at www.bookdoc.com, App Store and Google Play Store. Special Olympics is a global inclusion movement using sport, health, education and leadership programs every day around the world to end discrimination against and empower people with intellectual disabilities. Founded in 1968, and celebrating its 50th Anniversary this year, the Special Olympics movement has grown to more than 6 million athletes and Unified Sports partners in more than 170 countries. In the Asia Pacific region, Special Olympics has touched the lives of more than 1.7 million athletes across 33 countries. With the support of more than 1 million coaches and volunteers, Special Olympics, as a global movement, delivers 32 Olympic-type sports and over 100,000 games and competitions throughout the year.